Proceed to Darshan of Mahad (VARAD VINAYAK TEMPLE), After Breakfast proceed to Darshan of Pali (BALLALESHWAR TEMPLE) , Have lunch at Lonavala . After lunch proceed to Ranjangaon (MAHAGANPATI TEMPLE). Night stay at Pune Hotel. 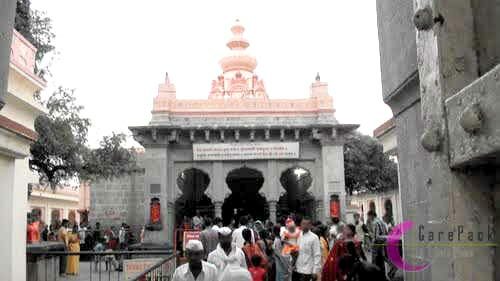 Proceed to Darshan of Theur (CHINTAMANI TEMPLE). After Breakfast proceed to Darshan of Siddhatek (SIDDHIVINAYAK TEMPLE). 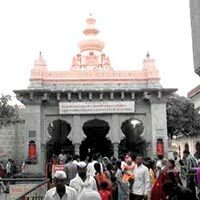 Next proceed to Morgaon (MAYURESHWAR TEMPLE). After lunch proceed to Darshan of Jejuri (KHANDOBA) & Narayanpur (PRATI BALAJI TEMPLE). Night stay at Pune Hotel. After Breakfast Proceed to Ozer (VIGHNESHWAR TEMPLE). Then Proceed to darshan of Lenyadri (GIRIJATMAJ TEMPLE). After Lunch proceed to Mumbai. Happy Tour Ends.